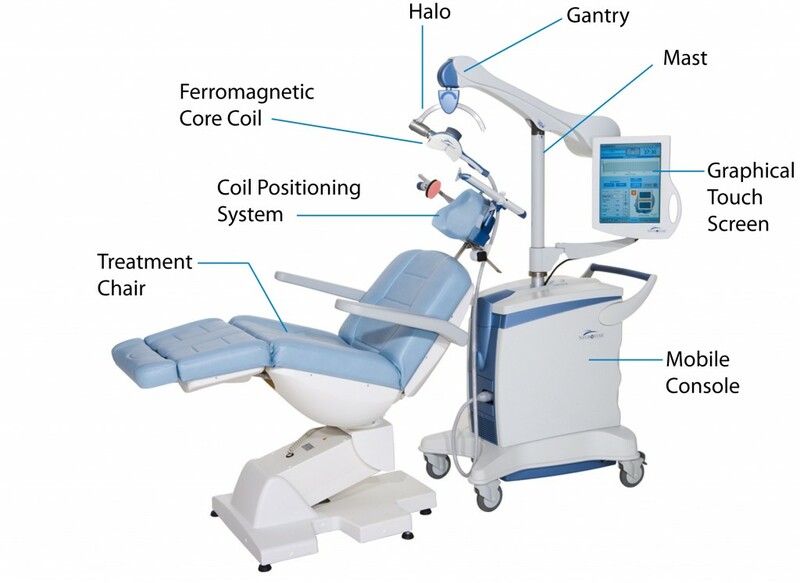 How does transcranial magnetic stimulation (TMS) work? How does transcranial magnetic stimulation (TMS) work? During a transcranial magnetic stimulation procedure, short pulses of a magnetic field are administered. This pulsed magnetic field stimulates the inactive or disrupted area of the brain or suppresses the overactive area of the brain, reducing symptoms of the condition. TMS Therapy is administered for a period of weeks. The in-office treatment typically takes less than an hour depending upon the condition. Patients remain awake and alert during the treatment, and are able to return to their daily activities following treatment.